The University of the World Economy and Diplomacy is the higher education institute of the capital. Masters of Server Service began to work on the territory of educational institution for training of specialists in the field of the world economy, politics and right. Our company often cooperates with educational institutions of Tashkent. At the moment we work with the University of the World Economy and Diplomacy. 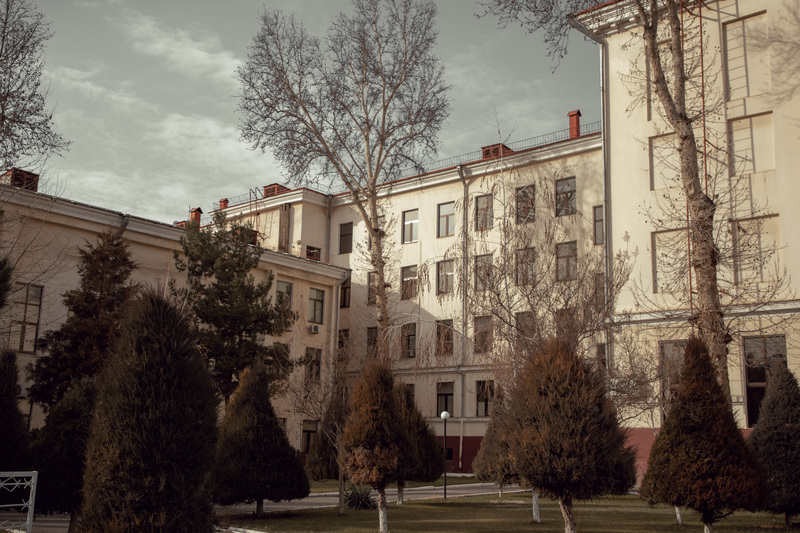 The university was founded in 1992 by presidential edict of the first President of the Republic of Uzbekistan. Many years have passed since its foundation but the university, graduated the specialists in the field of international economic relationships, is still one of the most popular educational institutions among the young people. Comfortable microclimate in student classrooms has a great impact on the process of education. Stuffy and poorly ventilated rooms causes rapid fatigue and reduces the attention concentrating. That’s why, the installation of high quality climatic equipment must be paid a special attention. 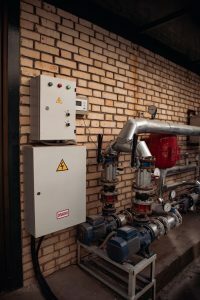 In order to provide a favourable microclimate in classrooms, specialists of Server Service Company carried out a great set of services: design of ventilation and heating systems, pipelines laying, installation of chillers, fancoils, as well as pumps, heat exchangers, interflanged butterfly valves, hydromodulus and mesh filters. 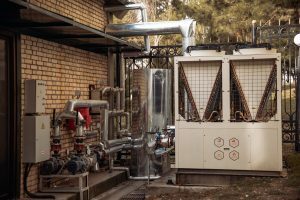 In addition, the chillers and heat exchangers connection were carried out. According to the tradition, we used SHIVAKI chillers for project realization. Chillers and fancoils from Japanese manufacturer are distinguished by high efficiency for the service of large areas, reliability and easy of control. Do you want to see the photos of other photos of Server Service Company? Just go to Photo section.